In both pet world and internet, nothing ever comes to the popularity of cats. But how much we know about wild cats? There are 38 known species of wild cats out there. A few members among them are familiar to us like lions, tigers, leopards, and jaguars. The rest of members of wild cat family are also amazing as the famous ones. Here the list of 10 little known wild cats in the world. Pallas cat is a small wild cat that lives in the grasslands and steppes of Central Asia. The most noticeable feature of Pallas cats is their long, beautiful coat. In fact, this species only has a size of a domestic cat. But in their long coat, Pallas cat look bigger. Both length and color of the coat change seasonally. In winter, Pallas cat has a long, thick and gray coat. It helps the Pallas cat to remain warm even in the freezing climate. In summer, the coat becomes thinner with more patterns and bands. The black spots on the forehead of a Pallas cat are as beautiful as the patterns on the body. There are also black rings on their tail. Pallas cat is a solitary wild cat who spend daytime in burrows and caves and hunt only at night. They can’t move so fast. But it’s not a problem for this ambush predator. Which means they patiently wait for the prey and catch it by stealth. Pallas cat preys on mouse, hares, and birds. Leopard cat is the most widespread wild cat of continental Asia. There are 12 known species of leopard cats live in the woodlands, scrublands, and forests of Asia. Like a leopard, this wild cat has beautiful patterns – dark stripes on the face and head and black spots on the body that varying in size. That’s why leopard cat named so. In size, a leopard cat is equivalent to a domestic cat. But they have long and powerful legs. Also, leopard cats have webbed toes. 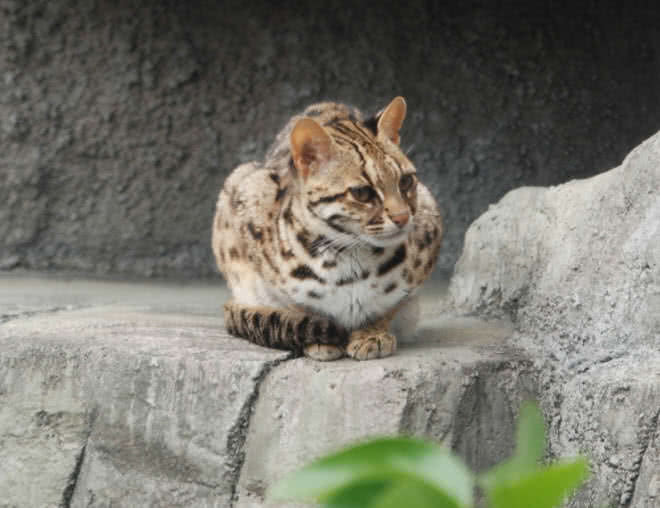 These features let leopard cats excel in both climbing and swimming. Within their habitat, leopard cats lead a solitary life. They mark their territory with scent. The male and female cat only come together to mate. Leopard cat spends their daytime resting on tree branches. They hunt only at night. It’s an unusual looking wild cat that found in woodlands, tropical forests and shrublands throughout the Americas. 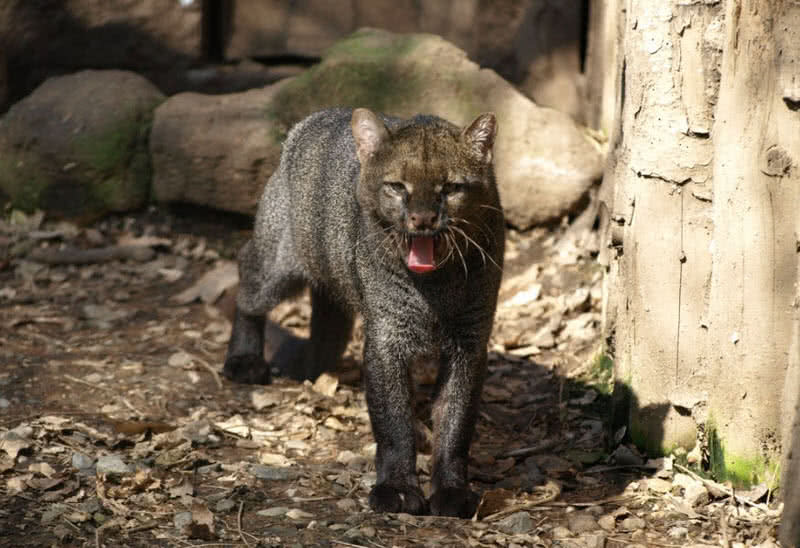 Long, slender body characterizes the unique appearance of a jaguarundi with the spotless coat. Their head is small and triangular shaped, ears are small and rounded, legs are short and have a long tail. The spotless coat of a jaguarundi comes in two main colors – brownish gray and paler red. Weighing between 5 and 9 kg, jaguarundis are bigger than domestic cats. They become most active at daytime. That’s quite different from most other species of wild cats. The diet of jaguarundis mainly consists of small reptiles, small mammals, birds, and fishes. 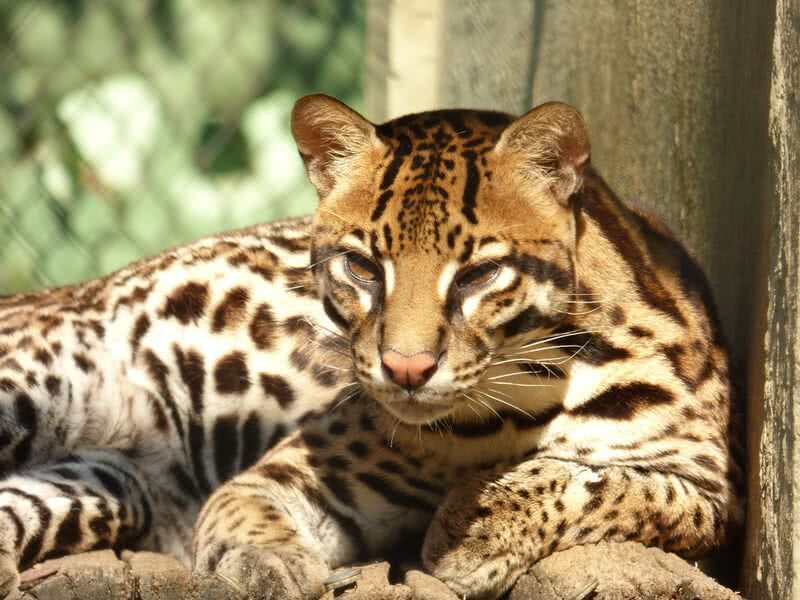 Ocelot is a medium sized wild cat with eye catching coat. The beautiful pattern is characterized by black, dark spots on the reddish gray coat. A first glance, an ocelot may look like a small leopard. They inhabit in tropical forests of South America. Besides the impressive coat, ocelots have noticeably long tail and large paws. It’s a solitary animal and hunts only at night. In the daytime, they rest deep inside the forest. Ocelot has excellent night vision and a strong sense of smell. It aids in hunting at night time. Ocelots mainly prey on rabbits, birds, crabs, and fishes. Not all cats are afraid of water. Like their name suggest fishing cats are excellent swimmers. They swim and dive to catch fishes. It’s a unique skill found in the cat family. It’s contributed by the short yet powerful legs and webbed feet of fishing cats. This impressive wild cat inhabits in the swamps and wetlands of Southeast Asia. 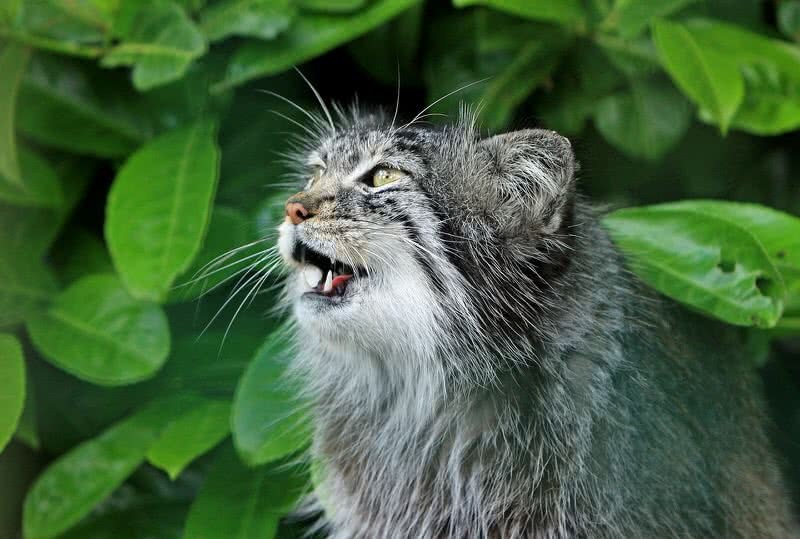 Sadly, the status of fishing cats is vulnerable due to habitat loss. A matured fishing cat has almost twice the size of a domestic cat. They have long built body, short tail, and a broad head. Their coat is olive-gray with beautiful black spots. 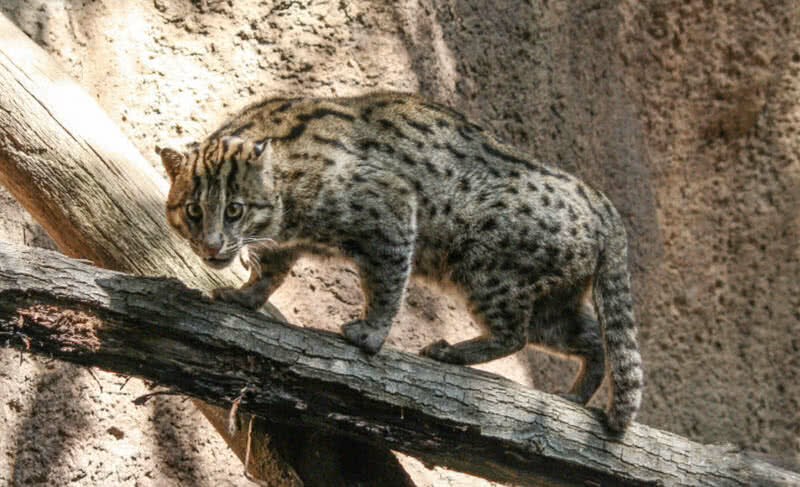 Fishing cats are nocturnal who only hunt at night. They primarily feed on fishes. But their diet also consists of frogs, crabs, and snakes. Margay is a beautifully patterned wild cat that lives in rainforests and evergreen forests of South America. They are quite larger than a domestic cat. The coat, the most highlighting feature of a margay, is brownish gray with black rosettes. Their body is built, eyes are large and a lengthy tail that grows up to 20 inches. That’s almost 70% of their body. 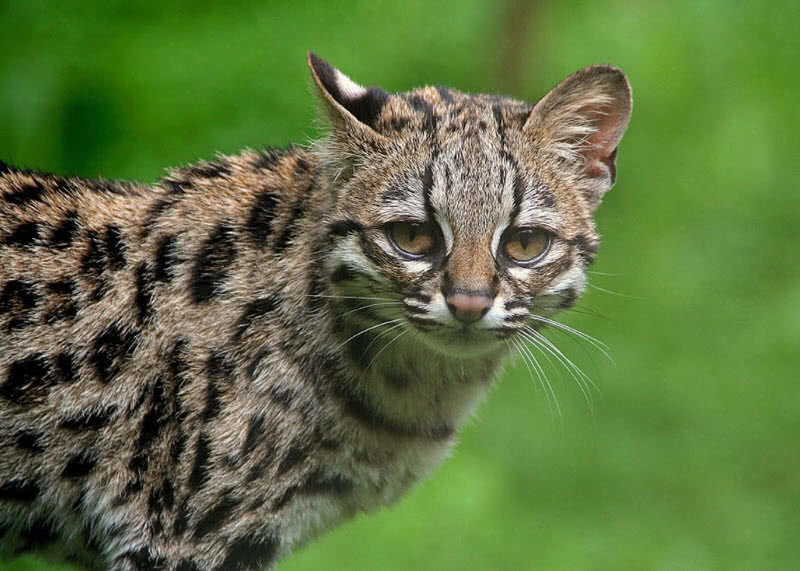 Margays are shy and live deep in the forest. So, there is only rare chance to see them even within their habitat. Margays are agile climbers. Also, they quickly leap from one branch to another. Margays are solitary and nocturnal. They spend daytime on tree branches and become active only at night. The large eyes of margays also ensure proper night vision. They mainly prey on small monkeys, squirrels, sloths, and squirrels. 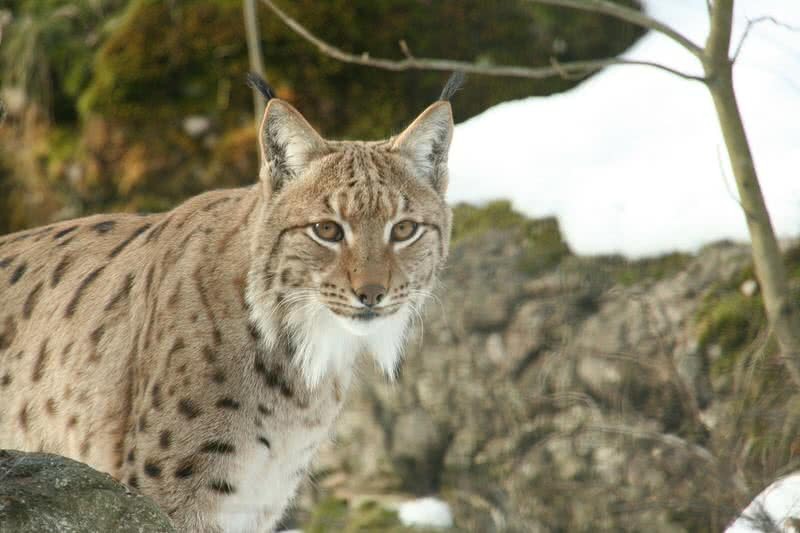 Lynx is a medium-sized solitary, wild cat that renowned for its beautiful thick fur. There are four types of lynxes in the world – Canadian lynx, Eurasian lynx, Iberian Lynx and Bobcat. They inhabit in the high altitude forests of Europe, North America, and Asia. Among the four species of lynx, Iberian lynx is the rarest. To be precise one of the rarest wild cats in the world. Only less than 400 Iberian lynxes are left in the world. As said earlier lynxes are famous for their thick fur. The color of the coat varies by the season. It helps the lynxes to keep their body warm regardless of the climate. The paws of lynxes are also covered with hair so that they get sufficient grip while walking on snow. Lynxes lead a solitary life and hunt only at night. 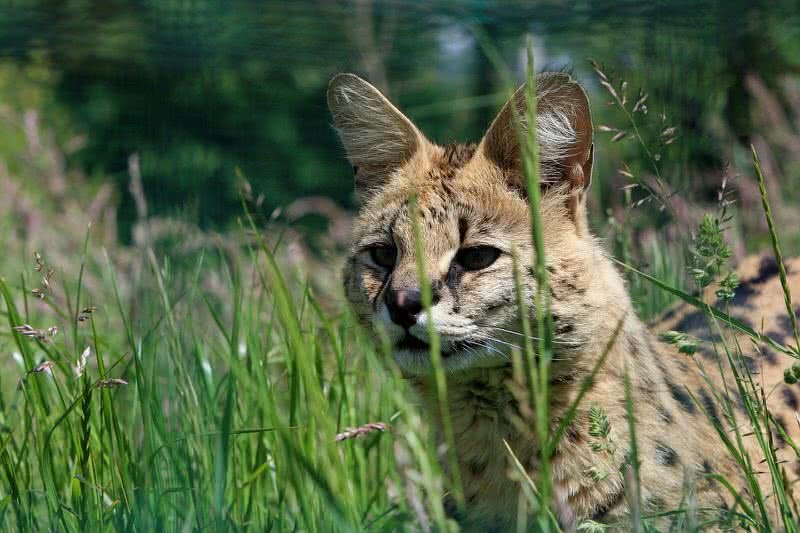 Resembling a small cheetah, serval is a distinctive species of wild cat that found in grasslands of Africa. Relative to body size, serval has the longest legs than any other species of cat. They have a slender body, short tail, long neck and large, oval shaped ears. In fact, no other cats have such a large ears like a serval’s. The beautiful yellow to orange coat of servals is black spots that varying in size. The patterns along with slender body give them a great similarity to cheetahs. But this medium sized wild cat (weigh up to 19 kg) can’t run as fast as a cheetah. At the same time, they are not so slow. The top speed of a serval is measured at 40 mph. Serval is a solitary animal who use scent to mark their territory. As you can imagine, servals are exceptional climbers. The long legs also let them jump to remarkable heights. Servals are nocturnal. But sometimes they also hunt at daytime. The long neck large, keen ears play a vital role in finding the prey. Their diet consists of rodents, small mammals, birds, frogs, and fishes. Clouded leopards are called so due to their cloud like black spots on yellow to brown coat. This beautifully patterned wild cat inhabit in the thick forests of Southeast Asia. Related to body size, the canine teeth of clouded leopards are larger than any other living species of cat. They have a slender body, short legs, and an extraordinarily long tail. 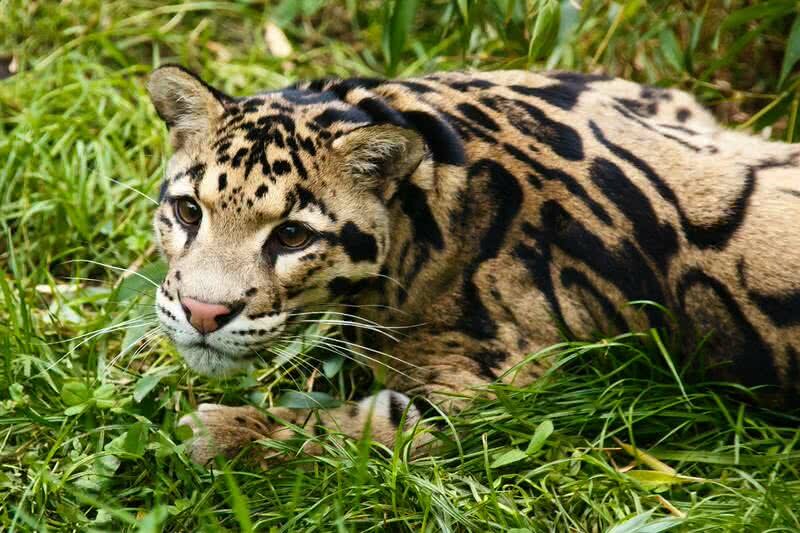 Clouded leopard spends most of their time on trees. In fact, they have everything to be an exceptional climber – slender body, sturdy legs with big paws, sharp claws and a long tail for balancing. Sometimes, clouded leopards even hang upside down from large branches. It shows how agile they are on climbing trees. Clouded leopards become active and hunt only at night. They make ambush or surprise attack on preys, especially from tree branches. Wild boars, small deer, porcupines and ground squirrels are main preys of clouded leopards. 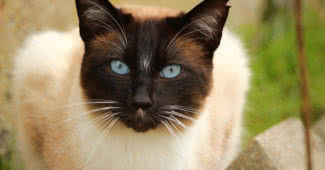 Caracal is a gorgeous, medium sized wild cat with remarkable golden coat and distinctive facial markings. These wonderful cats are found in the woodlands, savannas, and shrublands of Africa and Central Asia. Caracals have a built body. Their coat is short but in attractive golden color. The black markings on the face are as beautiful as their coat. 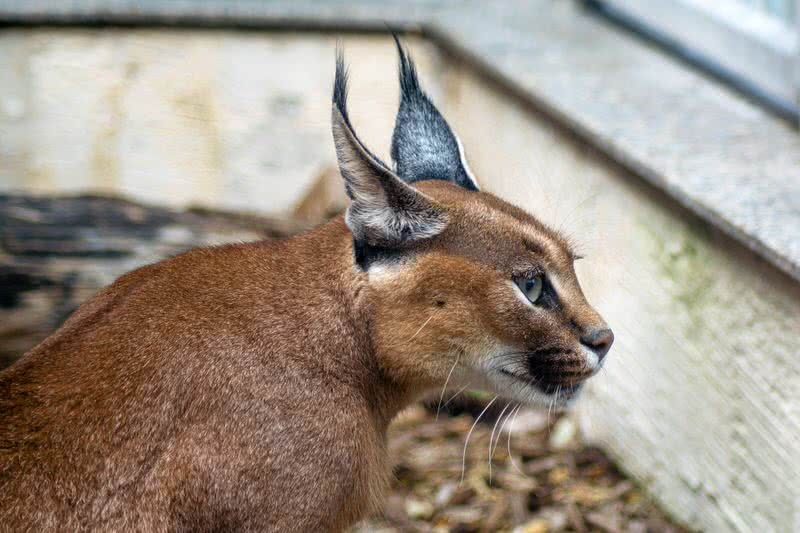 Caracals also have distinctive long, black tufts on each ear. It’s a very agile and energetic species of wild cat. Their top speed is measured at 50 mph. Caracals can also make the remarkable leap with their sturdy legs. In one leap they can even reach a height of 3 meters. Such amazing leaps let caracals even to catch a flying bird. Caracals are a solitary cat. But they also found live in pairs. They are nocturnal and hunt only at night. These skilled hunters use their speed, agility and long canine teeth to take down large prey like an antelope. The diet list of caracals also contains small mammals and rodents.